A pre-trial hearing over the case of capsized Costa Concordia cruise ship begins today in Italy. At least 30 people are believed to have died when the ship struck rocks off the Tuscan coast on 13 January. Captain Francesco Schettino denies accusations of manslaughter, causing a shipwreck and abandoning ship before all those aboard were evacuated. Francesco Schettino’s lawyer said he would not attend the hearing, in the town of Grosseto. Bruno Leporatti said it would be “unnecessary” for Francesco Schettino to leave his home in the town of Meta di Sorrento, near Naples – where he is under house arrest – to attend the hearing. “Perhaps with this climate that has been created around him, [it would be] also a little dangerous for him,” Bruno Leporatti said. Francesco Schettino’s brother-in-law has said that the captain is feeling both depressed and scared as he watches the enquiry unfold, and that the deaths of those who did not survive are weighing heavily upon him. Bruno Leporatti added that Francesco Schettino was “stunned” by the accident. “He is a man who has feelings, who is pained over what happened,” he said. The hearing will be attended by some 70 lawyers and their teams, representing survivors and relatives of victims. During the hearing, judges will question experts about the wrecking of the 114,500-ton liner. Investigators who have been amassing evidence and testimony since the crash will hand it over to a court-appointed panel of experts made up of two naval experts and two academics. 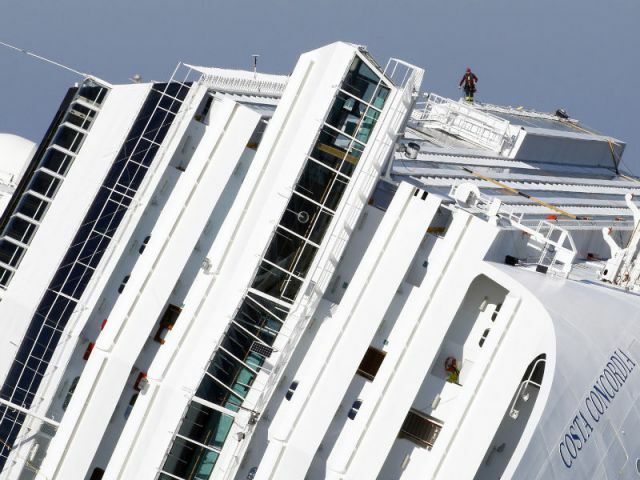 Costa Cruises, part of the world’s largest cruise operator Carnival Corp and owner of Costa Concordia cruise ship, has blamed Francesco Schettino for the accident. Costa Cruises has said it has “complete faith in the judicial system” and has offered its “fullest collaboration” with the Italian authorities. The investigation will also look at the decisions and actions of Costa’s vice-president Manfred Ursprunger and the head of its crisis unit, Roberto Ferrarini, with whom Francesco Schettino was in contact during the evacuation. The ship’s first officer, Ciro Ambrosio, is also under investigation. Costa Concordia, carrying 4,200 passengers and crew, had its hull ripped open when it hit rocks in darkness, just hours into a Mediterranean cruise.